C.S. Lewis was born in Belfast, Ireland. 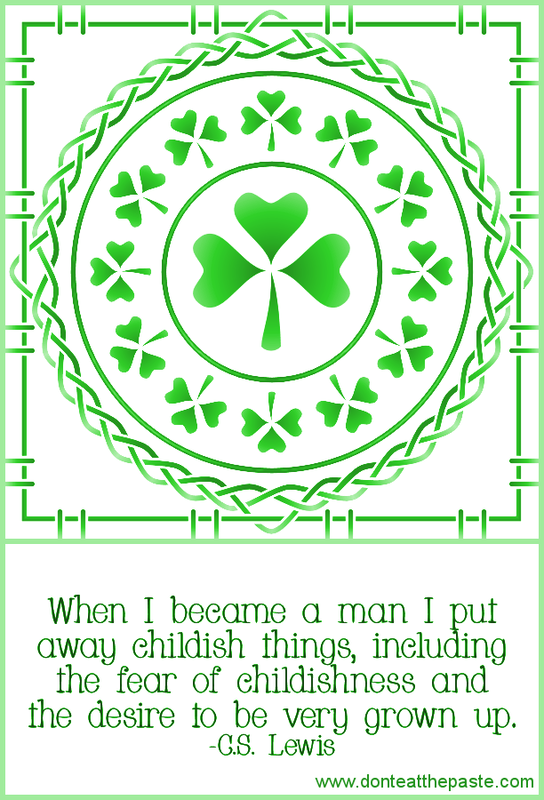 Since I've been putting quotes on some of my thumbnails, using Irish authors for the designs with shamrocks or knotwork seems appropriate. Plus I really love this quote. As usual, if you'd like to share it, you can find it on my Facebook page! Like Don't Eat the Paste on FB for the fastest way to find out about new posts, and to see occasional photographs that I take. Currently there is a picture of a moose with it's tongue stuck out on there that I took yesterday! 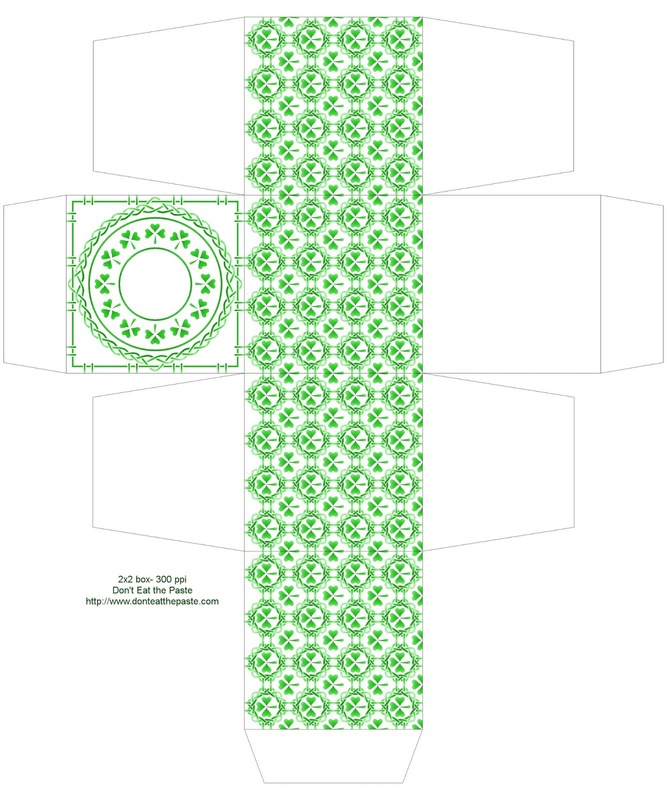 The printable gift box is inspired by Brigitte in Austria who seems to really like shamrock designs! I hope you enjoy it too. Click on the image for a larger version, print on card stock, cut out, score fold lines, fold, glue!